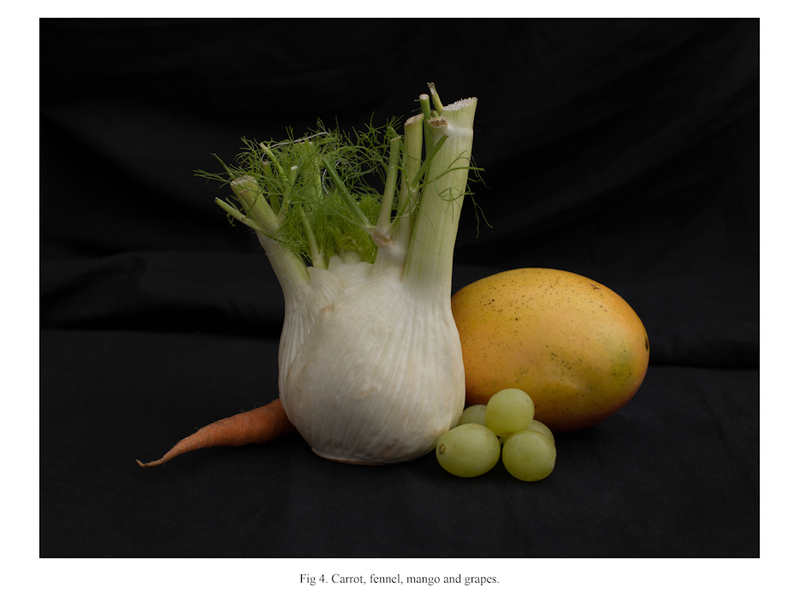 Many still life paintings have been described in the inventory of museums and collections by enumerating every single thing of what appears in them. 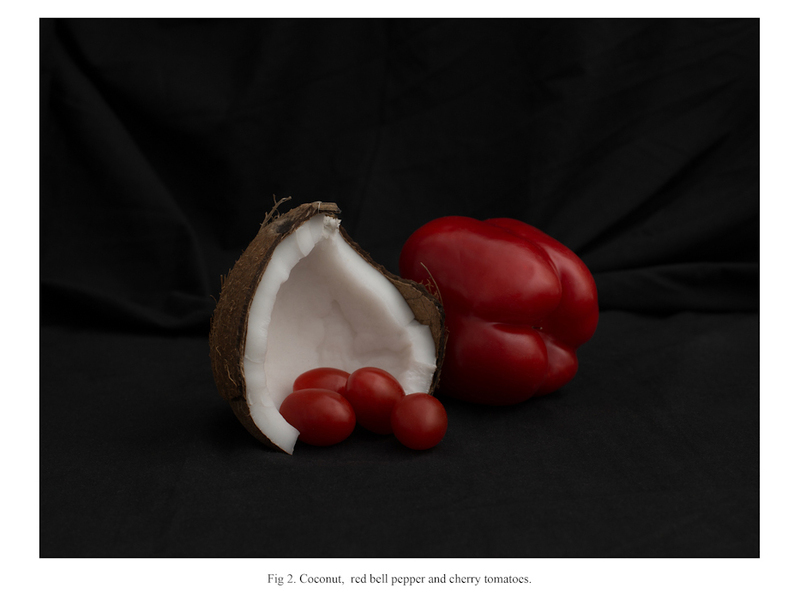 This registration method reinforces the idea of the still life as a mere representation of reality with a decorative use, free of the mystic and ascetic contents that other critics tried to reveal in their analysis of this kind of works. 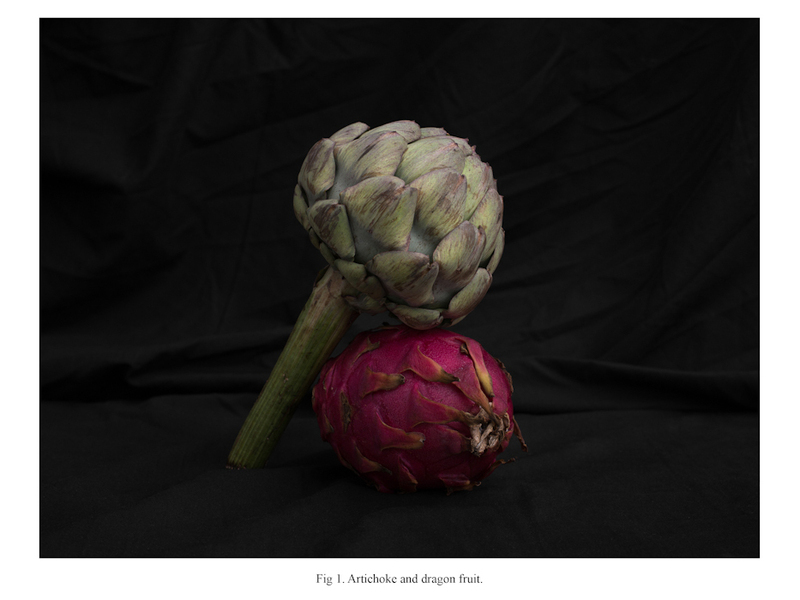 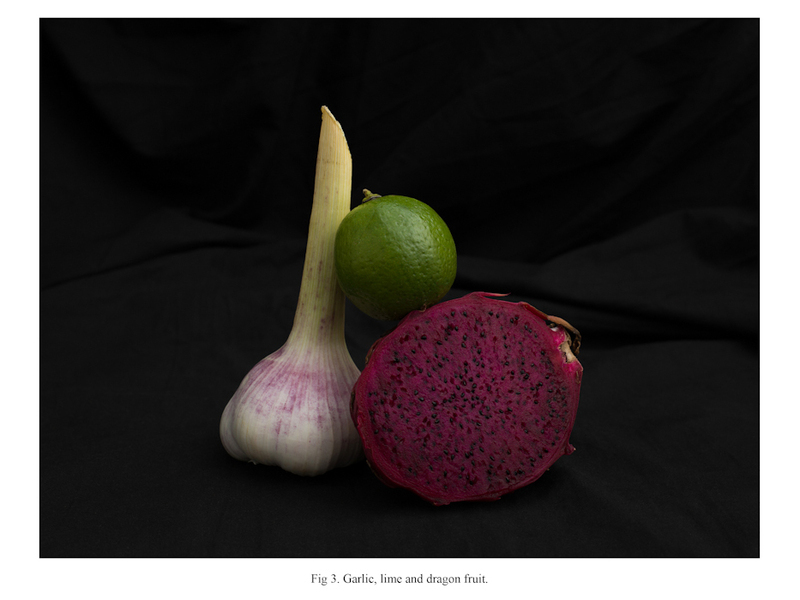 Inspired by these aseptic descriptions of the paintings, I photographed these vegetables with an aesthetic purpose, playing with colours and volumes, and referring to the pictorial tradition of the 17th century Spanish bodegón by the use of light and dark background.